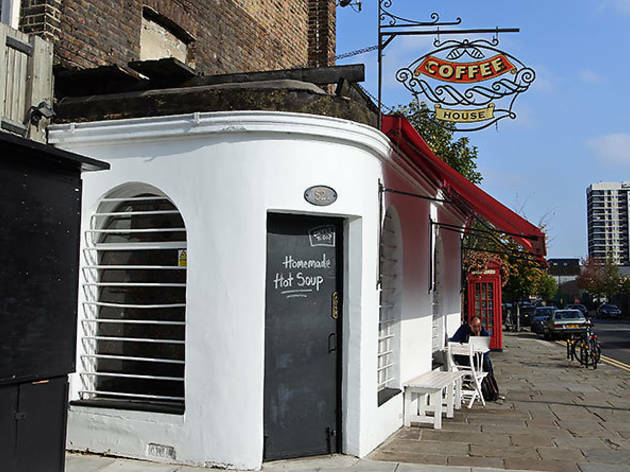 A coffee house, shop and café on Southgate Road. Best place to spend a sunny day, we serve breakfast, lunch and yummy sweet treats as well as wide range of hot and cold drinks. Also come in and see our vegan and gluten free options. I love that they have good decafe coffee and gluten free option that actually taste good. Best coffee i ever had in my life also the customer service was above great i am really satisfied with there service. I will definitely be coming back everytime i have a chance. Lots of coffee places in the area but this place stands out from the rest... The service is amazing and friendly, cakes to die for and perfect flat white. Very cute coffee shop, with shabby-chic furniture and appropriate chill music playing. I just got a skinny chai latte but it was very good. The menu is limited but there are snacks such as a banana PB milkshake, a soup of the day and pastries. Also lots of tea options. I'm dinking two stars though just for the cash-only policy. Love this place & people! Great coffee and delic cakes! Drink this coffee at your own risk, as it can cause addiction! If you are always look after yourself. This is the place. Where foods came from organic farmers. Friendly staffs. Real deal! Try it. This place is amazing. Really welcoming and caring. LOVE IT!! 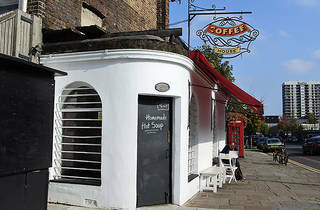 A day without coffee house is a day in hell, very good customer service with delicious range of coffee and croissants. I strongly recommend it to all the coffee lovers, it is also a nice place to relax and enjoy the beginning of your day with a great little chat.